If you are serious about blogging and running a website, you probably know how important, albeit hard, it is to rank on Google. Not all websites are created equal and some rank better than others. Schema theme helps blow your competitors out of the water by having an ultra SEO friendly website that’s elegant yet simple, advanced yet user-friendly and loads so fast that your users (and Google) will love you for it. You already know how important on-site SEO is. You also know that Google considers the loading time of a website as a major ranking factor in its algorithms. That’s why we created Schema – a theme so good, your competitors will wish they had bought it before you. Schema is not only the most SEO friendly WordPress theme we have ever built, but it is also the fastest loading one. Handwritten with quality code, and keeping best SEO practices in mind, it has a built-in review system and comes pre-configured with rich snippet support. We always want to deliver the best WP themes and that’s why we always research what users are looking for and what is working for successful blogs right now. We want to help our users replicate other people’s success by having a premium WP SEO theme that’s proven to work. With the Schema theme, we wanted to optimize all the code we used so that it helps load your website really fast. We audited every single line of the code so that the Schema theme is the fastest WordPress theme to have went out our doors. 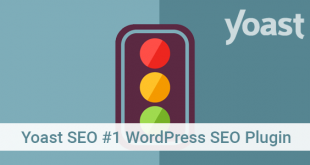 WordPress SEO themes are dime a dozen but none combine the aspects of SEO, speed, layout, design, responsiveness, and functionality like our Schema theme does. Every line, every character, every comment used in the theme’s code has a purpose which means that the theme is as lean as possible. The side effect of all this a theme that beats all the themes out there when it comes to speed. Don’t take our word for it, just test it against any of our competitor’s themes to see how much better our Schema theme is. As with our other products, Schema theme comes with a ton of options on top of the performance features. Schema has an option to let you insert ads easily. This means you don’t have to rely on 3rd party ad plugins to insert ads into your blog posts. You just have to head over to the ad management panel and paste your code in one of the pre-designated ad slots. That’s it. Earning from your website is now a child’s task. There are multiple customization options available which you can use to change various aspects of your website. Unlimited color options, BG pattern selection, footer BG selection, and unlimited sidebars are just a few of the options available. 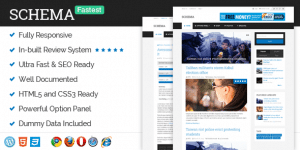 What you won’t find in other themes is a performance tab to help make this already fast theme THE fastest WordPress theme around. The tab contains options to help you disable ‘ver’ in URLs, optimize WooCommerce scripts, make the images lazy load, etc. All these, when used correctly, can mean that your website loads like a rocket and works like a Ferrari. 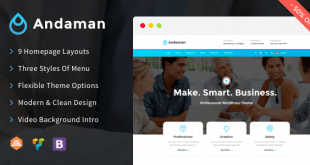 There are 2 header layout options included so whether you like a slim header menu or a usual fat one – this theme won’t let you down. You can also make the header sticky with this theme so that the important pages on your website are always in reach to your visitor.